Monday Night Raw Superstar Bayley is now a member of the SmackDown Live locker room … and she’s no longer part of a tag team. 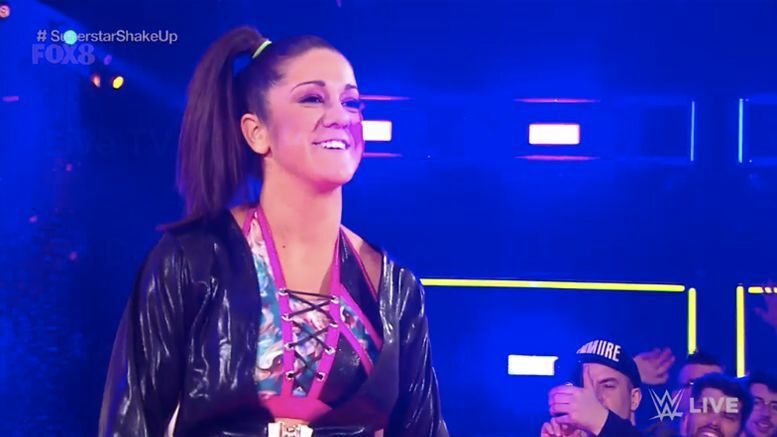 Bayley showed up on the blue brand’s Superstar Shake-Up episode earlier tonight to confront her old frenemy Becky Lynch, as well as Ember Moon, who also jumped over to SmackDown. The former WWE Women’s Tag Team Champion announced that she is now a singles competitor, before taking part in an eight-woman tag match. Excited to see Bayley compete on SmackDown Live? Sound off in the comments.